Are you hungry? A lot, or just a Liddabit? Well, either way, Liddabit Sweets is well worth a look. This Brooklyn-based confection operation has a splendid roster of sweets, and a convenient Chelsea Market retail location where you can go in NYC and buy them all. 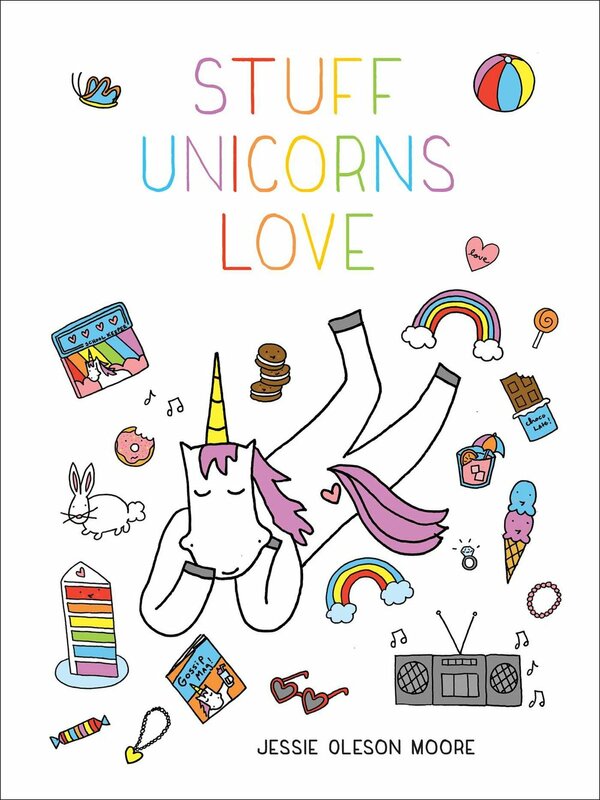 And a book, so you can try some of their finest recipes in the comfort of your own home. Listen, most of these photos are from their website because whoever took their photos is better than me. Thanks in advance youse guys! 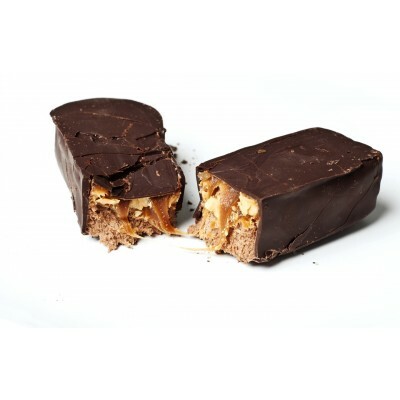 They make fancy, expensive homemade candy bars (they're expensive for a reason--check out their "candy bar economics" here). And brittles. And turtles. And honeycomb candy. And fancy caramel corn. But seriously, at this moment, we are here to talk about the caramels. Tasting them very quickly shows that these people know what they are doing, are confident in their abilities, but aren't afraid to have a little fun. So what makes their caramels so great? They're fancy, but not too fancy. They're still accessible to all sorts of palates, bringing to mind the nostalgia of those cubes of caramel, but tasting even better than your idealized version of them. So what's on the caramel roster? Everyone, at this point, has been exposed to salty caramel as a flavor, so it's hardly new. But it's delicious anew when you have a particularly toothsome specimen in your mouth, and Liddabit Sweets' version does just that. They have them plain, and chocolate-covered. Try both to see which you like better. They do have creative flavors, too, that you probably have NOT seen before, such as stout gingerbread (stout the beer, not stout like Santa Claus), apple cider (like a caramel apple spice), beer-n-pretzel (sweet and salty! 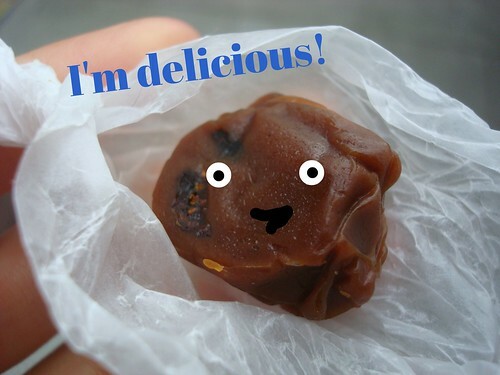 ), and black truffle caramels made with truffle oil (the kind the special pigs find, not the chocolate kind). It's a good mix of high and low on the menu. And then there's my favorite, the fig-ricotta caramel. Oh, hi. When I tasted it, I was surprised by the flavor. It tasted figgy...but somehow not mellow. Creamy, yes, but with a little...something. Loaded with sweet bits of dried fig and touched with balsamic vinegar, these caramels are one of our most sophisticated treats. A delightful addition to a cheese plate, they're also great with a sip of port - or just on their own. The vinegar is quite a brilliant addition to these caramels. 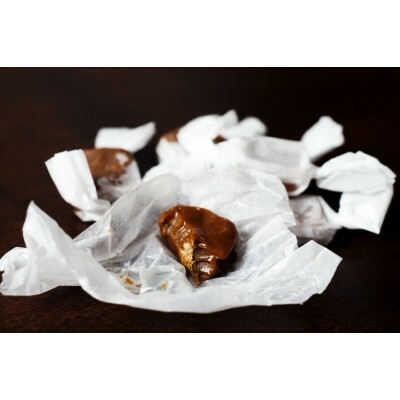 It performs, flavor-wise, a similar function to salt, in that it takes away the "sweet and nothing else" characteristic that lesser caramels all too often posess. 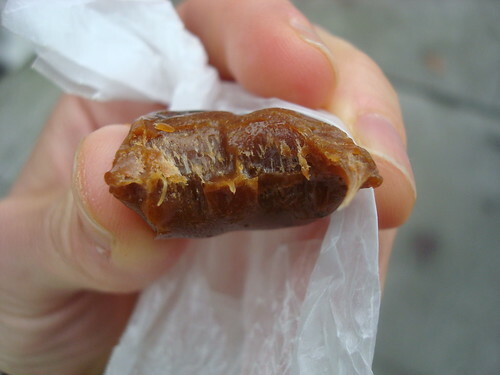 It also, similarly to salt in caramels, makes them intriguing and makes you lustful for another bite right away. I wonder if they make a special jumbo half-pound size of these caramels? If you are a caramel lover like me, I don't believe you will be disappointed by these unique sweets. Liddabit Sweets, shop and look online here, or go to the retail location in the historic Chelsea Market.